What an old year as well. The past four weeks have been a whirlwind of bicycle races, temperature fluctuations, mixed precipitation, automobile malfunctions, family, friends, and celebrations. With all the love our tiny bike shop’s lil’ heart can muster we are thankful for the last year and eager to start the new one. We’ve got lots of ideas on how to make 2013 more awesome than 2012. Let us know your ideas too because we couldn’t have done it without you and it’ll be a hard year to top! Now let’s eat some brunch! 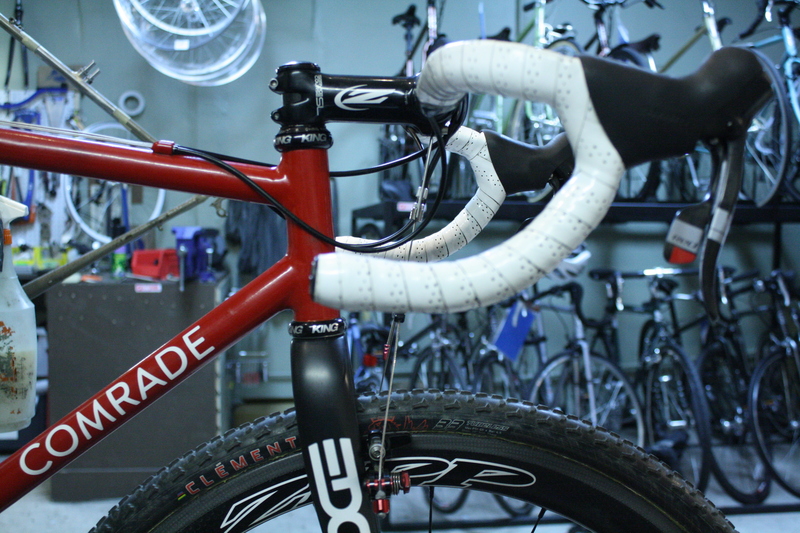 This entry was posted in Uncategorized, Winter and tagged comrade, cx bike, cyclocross bike, new year by admin. Bookmark the permalink.